1. Why do you write the kind of books you do? write and westerns are full of them. the best books I’ve ever read. The characters are still with me this morning. I find myself wanting to read more but unfortunately I’ve read it all. 3. What is your current work in progress? Friends and Foes will be available in June. the beach to ourselves. I’d love to go back one day. resentment we are the ones that suffer, unable to let go and move on. It’s so much easier to forgive and forget. With God’s help it is possible. 7. How did The Doctor’s Daughter get started? to me while I slept. 8. Tell us about your research process. I love to research! It’s amazing how easy it is to acces information online. Sometimes I get so caught up in the research the book gets neglected. 9. What impact did your research have on you personally? people in the 1870’s had to endure to survive. 10. If someone else were sitting at your desk right now, what would they see? 11. Where can readers find you online? Jamie Adams fell in love with books at an early age. Little Women by Louisa May Alcott opened her imagination and sparked a dream to be a writer. She wrote her first book as a school project in 6th grade. A fan of westerns her books take the reader back to a time when hero's wore Stetson hat's and gun belts while heroines had grit and grace. A graduate of the Institute of Children's Literature as well as member of American Christian Fiction Writers, The Writing Desk and several critique groups she spends most of her time writing, reading or learning more about the craft near to her heart. Becky rocks a baby that rocked her world. Sixty years earlier, with her fiancé Drew in the middle of the Korean Conflict, Ivy throws herself into her work at a nursing home to keep her sanity and provide for the child Drew doesn't know is coming. Ivy cares for Anna, an elderly patient who taxes Ivy's listening ear until the day she suspects Anna's tall tales are not the ramblings of dementia. They're fragments of Anna's disjointed memories of a remarkable life. Finding a faint thread of hope she can't resist tugging, Ivy records Anna's memoir, scribbling furiously after hours to keep up with the woman's emotion-packed, grace-hemmed stories. Is Ivy's answer buried in Anna's past? Becky, Ivy, Anna--three women fight a tangled vine of deception in search of the blossoming simplicity of truth. WHEN THE MORNING GLORY BLOOMS is Ms. Ruchti’s second emotion-packed women’s fiction novel. This one deals with three unwed mothers tied together only by the secrets they carry, the hurt they caused loved ones by their decisions, and the uncertainty on how to proceed. This is a book that every innocent teen girl needs to read before they take that step. It’s a story every mother needs to read and every girl who has succumbed needs to read. And it’s a must have for every crisis pregnancy center in the nation. I’m donating my copy to the local crisis pregnancy center to pass around – after my daughter reads it. It is hard to read in one setting. This is a book that takes time. And thought. And a box of tissues. Discussion questions are included at the end of the book. $14.99. 352 pages. 4 stars. Cynthia Ruchti is an author and speaker who tells stories of Hope-that-glows-in-the-dark through her novels, nonfiction, women’s events, and outlets related to the Heartbeat of the Home radio broadcast she wrote and produced for thirty-three years. She and her plot-tweaking husband live in the heart ofWisconsin, not far from their three children and five joy-giving grandchildren. When two hearts connect on a beach in Florida, is it a brief romance…or the start of lasting love? After family secrets come to light, causing an uproar, Roman Keim is taking a much-needed vacation to Pinecraft, the Amish snowbird community in Florida. The warm weather is a welcome break from the bleak Ohio winter, as is a week off from all his family's drama. But Roman's own drama begins when he meets his next-door neighbors: Amanda Yoder, a beautiful young widow, and her adorable daughter, Regina. In the two years since her husband died, Amanda has never looked at another man. She certainly doesn't intend to get married again. But she can't deny that there's something special between her and Roman. As his week in Pinecraft comes to a close, Amanda knows that, in spite of her attempt to remain distant, she's given Roman a piece of her heart. And her daughter seems to have fallen in love, too. Is there hope for a second chance at love for Amanda? Or will duty call Roman home first, far from the two women who have captured his heart? RAY OF LIGHT is the second book in The Days of Redemption series. I didn’t have the opportunity to read the first book Daybreak and I wish I would’ve as RAY OF LIGHT referred back to some events I didn’t know anything about. However, for the most past, RAY OF LIGHT was an independent story. I enjoyed getting to know Roman and Amanda, as well as her little girl. I also enjoyed getting to know about Roman’s family back home as their story is told, too, but that part is more women’s fiction. There are a lot of secrets in Roman’s family, and some drama. Roman feels he lives a quiet uneventful life, and sometimes he feels like a boring individual, but as the cliché goes, still waters run deep. If you like Amish fiction, don’t miss RAY OF LIGHT. Again, read Daybreak first, as I really don’t think these books stand alone. Any of Ms. Gray’s books are recommended. Really good continuing stories. Discussion questions and a sneak peek at her next book Eventide is included at the end of the book. $12.99. 288 pages. 4 stars. I enjoyed reading THE HEART STONE by new author, Sherry Kyle. The story is really two romances in one, as these two women both reconnect with George—and a fireman who happens to be friends with the nursing home director where George stays. The story is well written. There are some tense moments when Jessi’s son is threatened, but I figured out where the story was going long before it got there. While predicatable, it was a sweet romance. It did move a bit slow and I didn’t fully connect with the characters, but it was still a sweet read. Discussion questions are available at the end. 4 stars. $14.99. 320 pages. At the sound of his voice, Jessica MacAllister’s knees went limp and her palms grew moist. She sat down on the wooden stool near the kitchen counter and leaned her head on her hand, her elbow resting against the cold tile. Why was he calling? She hadn’t heard from him since he signed the papers relinquishing his rights to Jacob six years before. Her heart beat a strange rhythm. She had prayed this day would never come. “Andrew, I—I—I don’t know,” she stut-tered. As a speech pathologist, she prided herself on her communication skills, but this man could trip her up regardless of her training. “We can meet at a park. I’ll sit at a distance and watch.” The desperation in his voice was palpable. Jessica’s jaw clenched and her stomach churned. How could she trust that he wouldn’t rush up to Jacob and tell him that he was his biological father? Or worse, what if he wasn’t sober? His behavior when he was drunk could be . . . No. She wouldn’t let a man who had no part in Jacob’s upbringing suddenly waltz into his life—especially someone who had shown her the ways of the world. But Andrew wasn’t entirely to blame. She’d given in. “No. No, that won’t work.” Jessica ran her hand through her shoulder-length hair. Our son. Jacob was not their son. He was hers and hers only. Andrew wasn’t there for her when she was pregnant or gave birth. He’d never been there. Why the sudden interest now? Why was she a target? Merci Carson doesn’t have a clue—but she knows she owes her life to the quiet man who roared to her rescue in his snowmobile. EMT Nathan McCormick is used to handling challenging situations, but between the unexpected blizzard that stranded the lovely student and the desperate men chasing her, he has his hands full. Yet for Nathan, failure is not an option. Merci’s bravery and kindness challenges his guarded heart, making him start to hope for the future. Together, they could be something special—if they solve the mystery in time. ZERO VISIBILTY is attention getting. I was hooked from the first page. Two college girls, on the way home for Christmas break when they get into an accident on a back road. But the rescuers that stop attempts to rob them—and when Nathan roars up, Merci and Nathan try to work together to kidnap the other girl, Lori, back from the kidnappers. What are the robbers looking for? Why are they desperate enough to kill for it? Is Lori a victim or an accomplish? I had to keep reading to find out. Some of the events are unbelievable. Will two people really chase after bad guys with guns in a blizzard with no weapons and no plan? But with the suspension of disbelief, it was a good, exciting read. Discussion questions are included at the end of the book. $5.75. 217 pages. Alyssa Wells has uncovered evidence that her police officer husband was murdered by his partner—a dangerous claim in a small town. After two tours in Iraq, protecting Alyssa and her children shouldn't be a problem for private investigator Cole Justice. Alyssa feels drawn to him, but how can she trust anyone after everything she's been through? Cole's sure his heart is closed off to love, but Alyssa and her children seem to have found a way in. As the killer draws closer, Alyssa realizes she's trusting Cole with more than her safety. NO WAY OUT is the third book in Ms. Sleeman’s The Justice Agency series. It easily stands alone, but readers will want to read Double Exposure and Dead Wrong first as they are about members of the same family and you’ll want to know about the details of their relationships. NO WAY OUT is spell-binding. It caught my attention from page one and held it all the way to the end of the book. There are some twists and turns that I didn’t expect, but other things I did expect—such as the ending almost seemed to wrap up too quickly—I should’ve known Ms. Sleeman’s writing better than that. She had another twist coming that I didn’t expect. Everything is included, except the chocolate. Cafe Chocolat includes a worship CD, a leaders' training and promo DVD, a tote bag to carry supplies in, a cute bracelet with one of my new favorite verses on it, and Biblically based lessons. It also includes a director's guide, a leader's guide, a journal, and lesson plans for the entire series. There is als a computer CD of graphics included. If you are looking for a women's Bible study this summer, then you will want to consider Cafe Chocolat. Recommended. Whether planning a retreat, Bible study or devotional, Group Publishing has long been known as the go-to center for ministry leadership resources. With preparations underway for the summer release of three new resources designed specifically for women, it is clear Group does not intend to disappoint in the future. About Group Publishing: Far more than just a publisher of Christian ministry resources, Group Publishing is dedicated to offering products for group settings designed to help grow the participant’s relationship with Jesus. With a team made up of ministry experts known the world over, the company has a solitary mission to help church ministries succeed. From kids’ crafts to teen mission trips and from women’s retreats to men’s Bible studies, everything that Group offers is designed to bring participants closer to God. Pursuing his dream to offer better tools for leading teens to Christ, Group Publishing founder Thom Schultz began the company in 1974 with the launch of GROUP Magazine, a resource periodical designed specifically for youth leaders, soon making Group’s name synonymous with youth ministry. It was not long afterward that Group decided to branch off into creating resources for children’s ministry. Soon the company was providing innovative VBS and children’s Sunday school programs and had successfully introduced Children’s Ministry Magazine. From there, creating resource materials for men’s and women’s ministries seemed a natural progression. Today, Group Publishing is recognized as a leader in the publishing of Christian resource materials for every age. Enter Today - 5/14 - 6/4! Is life about accomplishing plans . . . or wishes coming true . . . or something more? Dr. Kendall Haynes’s plans to have it all—a career, a husband, a family—are eluding her. Now that she’s thirty-six, she needs to stop wishing upon a star and face reality: Some dreams just never come true. Air Force pilot Griffin Walker prefers flying solo in the air and on the ground—until a dangerous choice ejects him from the cockpit. His life becomes even more complicated after the sudden death of his parents makes him the guardian of his sixteen-year-old brother. There’s no way his life will ever get back on course now. When their lives collide during a near tragedy, Kendall and Griffin must decide if they can embrace the unexpected changes God has waiting for them. 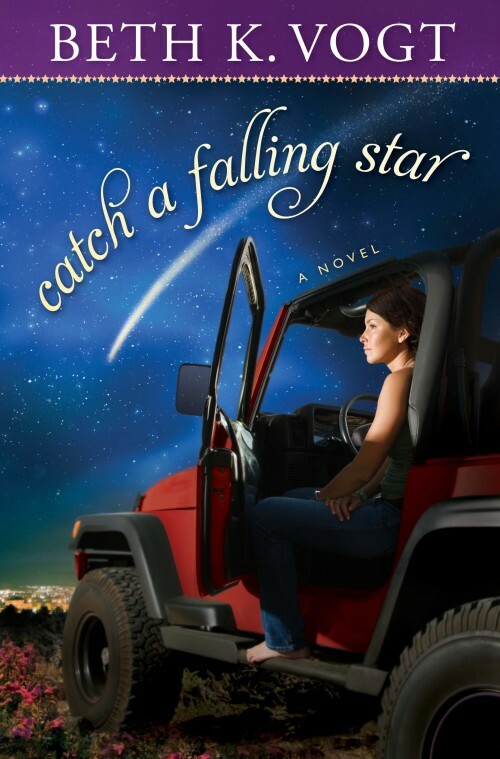 CATCH A FALLING STAR is Ms. Vogt’s second novel. I thoroughly loved her debut novel, Wish You Were Here so I was anxious to read this one. This book wasn’t quite so exciting as the debut, but it was still good. I didn’t exactly connect to the characters the way I wanted, but the story was filled with enough conflict I had to keep reading to see how they resolved their issues. Kendall and Griffin both wanted totally opposite things in life—so it was interesting seeing which one would give the most. The ending was rather rushed--wrapping up in a chapter the entire book. It's almost as if Ms. Vogt reached her word count, stopped, and said, "oh, it needs to end." and so it did. the wife of an Air Force family physician (now in solo practice), though she said she'd never marry a doctor-or anyone in the military. She's a mom of four, though she said she'd never have kids. She's discovered that God's best often waits behind the doors marked "Never." Her contemporary romance novel, "Wish You Were Here", debuted in May 2012 (Howard Books), and "Catch a Falling Star" releases May 2013. 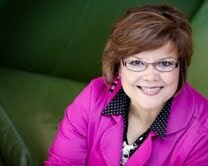 An established magazine writer and former editor of Connections, the leadership magazine for MOPS International, Beth is also the Skills Coach for My Book Therapy, the writing community founded by best-selling author Susan May Warren. Ingrid Young has had a crush on John Christenson since she was thirteen. Every year she goes up with her family to Deep Haven on vacation and they stay in Cabin 12. But this year, Ingrid gets to go with her sister, Kari, to the street dance--and she intends to dance with John. Except--it doesn't go so well. Every year the Young family goes up to Deep Haven at the same time of the year. And Ingrid looks for John. But will he ever notice her as more than Kari's younger sister? 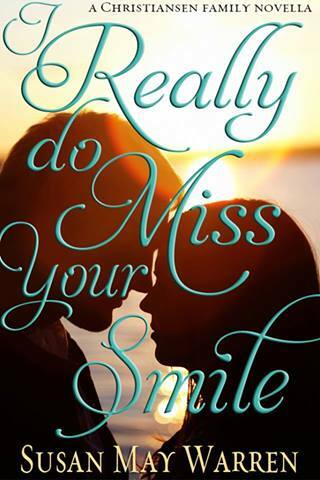 I REALLY DO MISS YOUR SMILE is the prequel to the Christenson Family series, with the first book about Darek Christenson Take a Chance on Me, which released in April. As with all of Ms. Warren's books, I loved getting to know John and Ingrid. I hurt for Ingrid, loving a man who didn't know she was alive, and for John for some of his decisions, hurts, and disappointments. I hoped that the two would be able to work things out. This story is short, only about 60 pages and easily read in a day. And right now, it is being offered as a free addition when you buy Take a Chance on Me at Barnes & Noble. $Free, right now, with purchase. 5 stars. Enter Today - 5/11 - 5/29! UNDENIABLY YOURS is Ms. Wade’s second novel. It easily stands alone but reader’s might want to pick up her debut My Stubborn Heart. I love contemporary romances, and I’m so happy that they are finally on the upswing in publishing. The premise for this one sounds interesting, but unfortunately for me, it just didn’t connect. Meg suffers from stress issues, so she plays some number game to calm down but discovers that Bo Porter calms her more, just being in his presence. Yet she wants to fire him—because she doesn’t like horses. She believes in God & is a kind, giving person, but God is not who she turns to when she’s stressed. I wanted to care about these characters, but I couldn’t. I’m sorry. I found Bo too perfect (though I liked him a lot), and Meg too… unbelievable. The book is very well written. It does have a great premise. And others seem to love it – so you might as well. Discussion questions are included at the end of the book. If you like contemporary romances, do give UNDENIABLY YOURS a try. I’m giving it four stars based on the writing and the plot, not considering my opinions about the characters. $13.99. 380 pages. Visit her website at www.beckywade.com. Can a splintered Amish family reconcile? 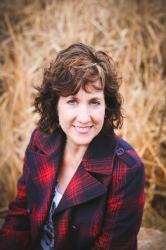 More than anything else, thirty-something Holly Fisher longs for family. Growing up in Seattle without a dad or grandparents, she wonders what it would be like to have a heritage, a place of belonging. Holly is furious when her mother, Esther, reveals a long-kept secret: Holly’s grandmother and uncles are still alive and begging Esther to return. And Holly is shocked when she learns that the family she’s never known lives on a Lancaster, Pennsylvania, farm—as part of an Amish community her mother once abandoned. Guilt-ridden Esther, terrified to see her mother and siblings, begs Holly to accompany her on a visit to Esther’s mother before she dies. But can their journey to a conflicting world heal their emotional wounds and finally bring them home? 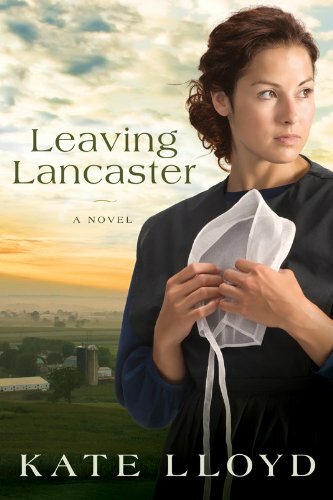 LEAVING LANCASTER is the first book I’ve read by Kate Lloyd. I’d read some good comments about her books on the Amish fiction boards on Facebook, so I was anxious to give it a try. I found the characters in LEAVING LANCASTER were middle age middle-schoolers. They acted very immature, were angry and spiteful. The mother lied about her past, and then continued lying after she returned home to make amends. However--that was the point of the story--the characters all had a lot of maturing to do. Written in alternating first person/third person makes it a bit difficult to stay in the story. And some of the events were implausible. However, those who enjoy women’s fiction more than traditional romance might enjoy this take on the Amish life—why someone would leave and then return. If you like Amish fiction, don’t take my word for it. Try LEAVING LANCASTER for yourself. Includes discussion questions at the end of the book. $14.99. 369 pages. Is Angelique a gold-digger - or an angel? Jonathan is determined to find out. When David Carter, a wounded war veteran, is gunned down in the streets of Washington, D.C., his twin brother, Jonathan, loses his best friend. Convinced that the Army nurse David met at the rehabilitation hospital and recently married is only after the Manhattan Carters' wealth and power, Jonathan charges into Angie's office at Walter Reed to deny her the estate...only to find out that David hid his family's origins from her. The sister-in-law Jonathan had refused to meet for months confounds his expectations. Frail, beautiful, blonde Angie claims she wants nothing to do with the notoriety of her husband's prominent family. But Jonathan is determined to fulfill his twin's last request-to care for his wife-which now includes an unborn child. As their two worlds collide, and the media is stirred into a feeding frenzy, Jonathan's heart is stirred by unexplainable longings for home and family. But will his twin's lovely widow ever be able to see him-without seeing his brother? A tender tale of courage, triumph, and lasting love in the most tragic of circumstances. HIS BROTHER’S WIFE is the first book I’ve read by Ms. Snead. The book is simplistic in style, your basic category romance. The story is mostly told, not showing, so as a reader I didn’t get fully connected with the characters. The story is cute. Jonathan is angry, wanting to cut his brother’s widow out of the will, and Angie is grieving from the loss of her husband, shocked to discover he has an identical twin she’d never met, and rather defensive. One has to keep reading to see what will bring these two hurting individuals together. Kind of pricey at $14.95 for 160 pages. 3.5 stars. Shortly after burying her unfaithful husband, Georgia Peyton unexpectedly inherits the derelict Stardust motel from a distant relative. Despite doubts from the community and the aunt who raised her, she is determined to breathe new life into it. But the guests who arrive aren't what Georgia expects: Her gin-loving mother-in-law; her dead husband's mistress; an attractive but down-on-his-luck drifter who's tired of the endless road; and an aging Vaudeville entertainer with a disturbing link to Georgia's past. Can Georgia find the courage to forgive those who've betrayed her, the grace to shelter those who need her, and the moxy to face the future? And will her dream of a new life under the flickering neon of the STARDUST ever come true? I’ve read a couple of Ms. Stewart’s books and they are all different. STARDUST starts out with the almost mandatory death (in historicals) of Georgia’s unfaithful husband. STARDUST is impeccably written, I couldn’t find any fault there (not that I was looking) but I never did completely connect with the characters. The story is slow moving, easy to put down, but that’s okay. Sometimes it’s good to read a slow book instead of one that you race through and are left wanting more. STARDUST leaves you contemplating what you read, thinking about it long after you close the pages of the book. Discussion questions are included at the end of the book. $13.99. 320 pages. After Paul Stutzman finished hiking the entire Appalachian Trail, he found himself longing for another challenge. Trading his hiking boots for a bicycle, Paul set off to discover more of America. Starting at Neah Bay, Washington, and ending at Key West, Florida, Paul traversed the five-thousand-mile distance between the two farthest points in the contiguous United States. Along the way he encountered nearly every kind of terrain and weather the country had to offer--as well as hundreds of fascinating people who represent the challenges and triumphs of the entire country. Through cold and heat, loneliness and exhaustion, abundance and kindness, Paul pedaled on. His reward--and yours--is a glimpse of an amazing country that inspires us all. If you long for adventure, love to meet new people, and love this place called America, get ready for the ride of your life. I had the opportunity to read and review Hiking Through, and I thoroughly loved it. When offered the chance to review BIKING ACROSS AMERICA I jumped at the chance. I picked it up today, knowing my review of the book is due in four days. I figured I’d read a chapter or two and then do my job. Wrong! I inhaled BIKING ACROSS AMERICA, while my son reminded me multiple times about his desire to read this book. I quit only to do what I had to do, and go to church (as a pastor’s wife, reading a spell-binding book is not a good excuse to stay home) and finally finished the book at 10 p.m. All I can say is WOW. If you read one book this year, it has to be BIKING ACROSS AMERICA. Awesome book. I wish I would’ve known Mr. Stutzman would be less than two hours from me on his journey and I would’ve driven up to meet him. Mr. Stutzman, if you are reading this review, I’m glad you chose to sell your rights to Hiking Through and allowing us to travel these journeys vicariously through you. Don’t miss BIKING ACROSS AMERICA or Hiking Through. $12.99. 226 pages. Paul Stutzman is the author of Hiking Through. A former restaurant manager who left his career after his wife's death from breast cancer, Paul hiked the Appalachian Trail in search of peace, healing, and freedom. He continues to seek out adventure in new ways every day. When he is not hiking or on a cross-country bike ride he makes his home in Ohio. Find out more at www.paulstutzman.com. Download Going Cash for free at www.christyfitzwater.com/writing. For the first two decades of our married life, I handled all the finances and did it poorly. Of course, I didn't know I was doing it poorly, but now I do. I thought it was great that I was taking care of the money, so my husband didn't have to worry about it. It seemed like a good wifely thing to do, taking that burden off his already heavy plate. But now I see that what happened was me and the money went into a dark room, and bad things happen in the dark. Matt's really frugal, and he didn't need money for stuff most of the time. But then every once in a while he would say, Hey, can we buy... I would go ballistic. Are you crazy? Do you know what our finances look like? No we don't have money for that! Of course he didn't know what our finances looked like. The money was in the dark. A few years ago my monthly spending got really bad. We were starting to spend money we didn't have, encroaching into the next month's paycheck ---a dangerous place to be. I realized one day that I was swiping the debit card without evening looking at the amount I was spending. I would leave the grocery store having no clue what I had just done to our monthly budget. Until the bank statement came, and I would be appalled at what I had spent. But that's what happens when the money is in the dark. So in frustration three years ago, I decided to follow my friend's lead and go to using all cash. You know what happened? I went to the bank and saw the money in the envelope. I put money for Matt in separate envelopes for his spending ---right out there where he could see how much he had. I placed real money in see-through plastic sleeves in a purse-sized money organizer. Now even the kids can see how much clothing and allowance money they have. I used to be horrified to talk to Matt about the state of our finances. It didn't seem nearly so bad when it was just me and the money in the dark, but when I pulled out the truth for him to see I would realize how bad it was. Now that we have gone to using all cash, I have no shame. We all can see how much money there is. Our spending is well under control. (Thank God!) It has brought a peace into our marriage that I didn't know was missing until I experienced it. So let me ask you---is your money in the dark where things go bad, or have you brought your finances into the light? To read more from Christy Fitzwater or download Going Cash, visit her blog atwww.christyfitzwater.com or follow her on Facebook and Twitter (@Christy_Fitz). 254 pages. $14.99 U.S. 5 stars. 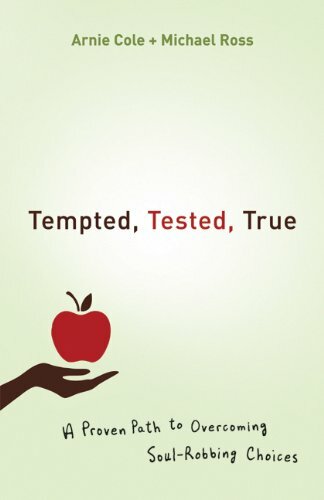 From the opening pages where one is introduced to the whole notion of temptation (for those still ignorant of its existence), TEMPTED, TESTED, TRUE shines the brilliant beam of consecrated intelligence and dedicated creativity into the deepest recesses of the enemy’s camp. Unashamedly, the authors call sin, sin … and provide a time-tested blueprint for how it can be successfully defeated on a daily basis. Arnie Cole (CEO of Back To The Bible) and Michael Ross (award-winning journalist and bestselling author) combine their insights and God-given talents once again to provide an indispensable resource for living the Christian life in a victorious manner. We are told in Scripture to “Submit yourselves therefore to God. Resist the devil, and he will flee from you.” (James 4:7). Cole and Ross have produced a handbook that shows you, step by step, just how that may be accomplished. And I thank them for it. If you are honest with yourself, you will recognize, as I have, how crucial it is to have such a work close at hand. This isn’t a book to be read and shelved; it needs to be a constant ready reference. Because our adversary never slumbers nor sleeps. 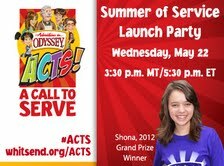 Summer of Service Launch Party!!! and devotionals, fulfilling the AIO promise to help kids discover, imagine, and grow. kids will discover that serving can be a blast! 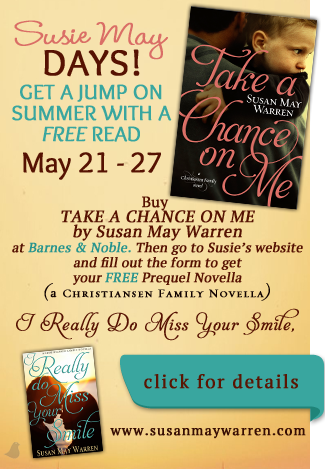 like to become an Adventures in Odyssey Ambassador. whitsend.org/acts. You don’t want to miss it! simply telling them they are important and valuable. them into adulthood—which is the greatest gift any parent can bestow on their child. Working for Your Worth and GIVEAWAY!!! !